^^ no worries . . . I'm enjoying it too. 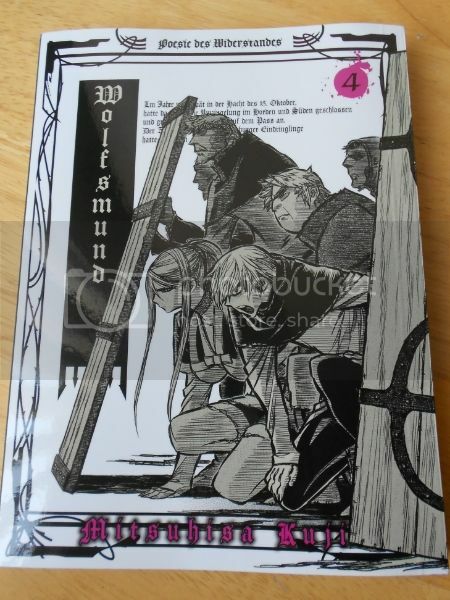 I will have to grab vol.4 . . . thanks for the heads-up! I picked up this randomly at Half Price Books for $8. Pretty freaking amazing collection of scans from the paper theatre days in Japan. Manga before it was manga. The dust cover unfolds into a giant Golden Bat poster. Can you post a photo of the poster please? Thanks. ^^ Yeah, that is a great book and very good value! I think i bought my copy in Fopp. If shipping wasn't so expensive I'd send you a box of extras Moog! While I collect just about everything; obscure, classic, and OOP titles are my favorite. Always enjoy your recommendations. Here's the English translated version by Last Gasp. I finally picked this up. I'm really glad I did. Also, the 3rd version of Taiyo Matsumoto's Sunny come out. I've just started it, but it seems as good as the others. If shipping wasn't so expensive I'd send you a box of extras Moog! ^^ I'm gonna have to start grabbing these before they go OOP . . .
- - - I recently bought the first 5 of these for £1 each at a boot-sale. 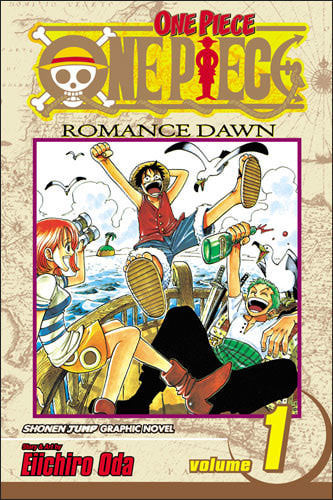 Has anyone read any one-piece? Got this lot in the mail today. With as many unread books as I have, I still can't pass up a good deal. whoa.. That's some serious reading! I really need to give that series a go. I've read quite a lot of vagabond which is quite good but I can imagine lone wolf is a much more brutal take on the samurai genre much like the movies which I absolutely love! I stopped reading one piece a long time ago but I still watch the anime from time to time. I got a little burnt out on it recently, I just don't think it's as good as it used to be. I started watching HunterxHunter and the new Jojo's Bizarre adventure series (both great manga) and am enjoying them much more right now. My favourite arcs for one piece are Alabasta & Enies Lobby. I think if i had to choose one manga series above all others it would be Lone Wolf & Cub. Its funny, but i'd say Vagabond is way more 'brutal' than Lone Wolf. Of course LW&C has excessive violence drawn by a master of his craft but it is also beautifully lyrical & poetic. There are plenty of quiet moments and touching scenes between father and son. It has a depth and clarity that very few 'samurai' stories can match. It also teaches a great deal about Japanese history, nature and the way of Bushido. Thinking about it . . . its high-time i read it again! I've read quite a lot of vagabond which is quite good but I can imagine lone wolf is a much more brutal take on the samurai genre much like the movies which I absolutely love! I recently bought the first 5 of these for £1 each at a boot-sale. I just don't think it's as good as it used to be. I started watching HunterxHunter and the new Jojo's Bizarre adventure series (both great manga) and am enjoying them much more right now. 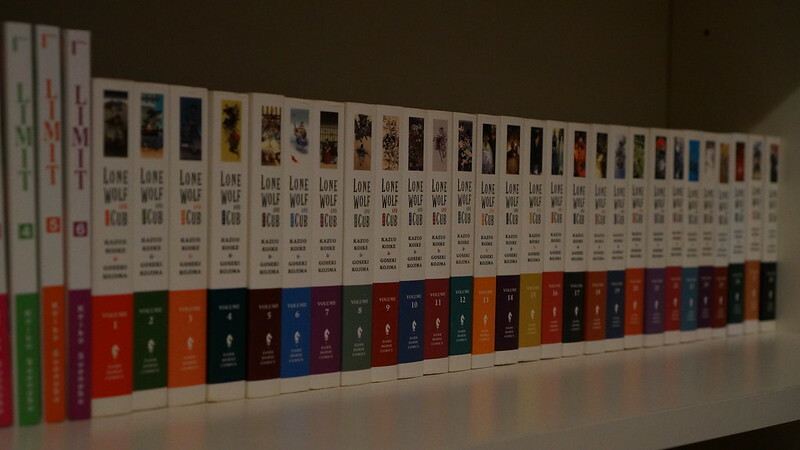 I never finished reading Lone Wolf & Cub, and always regretted it. It's been so long that now I'd have to start from the beginning anyway. I've still got all the volumes and need to give it a go. How are you liking JoJo: Stardust Crusaders? I never read or watched previous series, but it's getting buzz and I'm compelled to give it a try. I'm currently reading Attack on Titan, but it's slow and boring to read since I watched the show first. Re-reading what I've already seen is just a drag. Loved the show and the story / concept. I just need to surpass the story that's already covered in season 1. 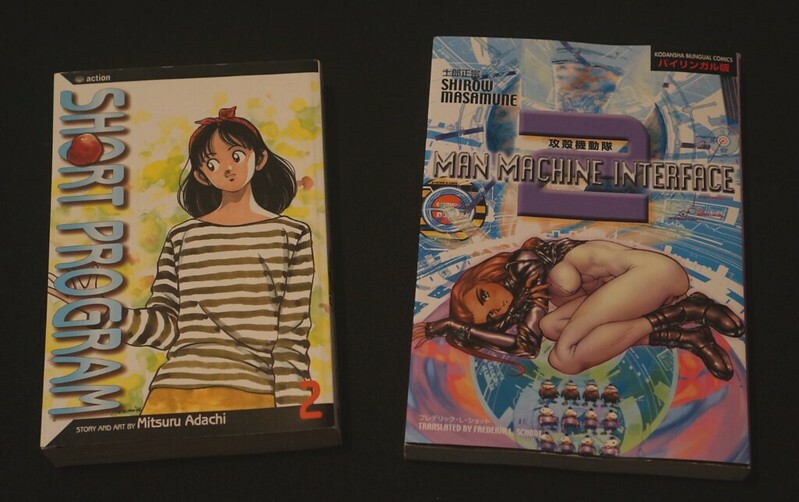 Next on my list is to finish Gantz, which I'm a huge fan of but stopped reading a year or so ago. Now that it's finally ended I'd like to get some closure and be done. Also sitting next in my reading queue is Otomo's Akira (Dark Horse publication, not Marvel). Very highly recommend JoJo's Bizarre Adventure, Stardust crusaders is the best place to start. It's the only anime I watch religiously every week when it's released. 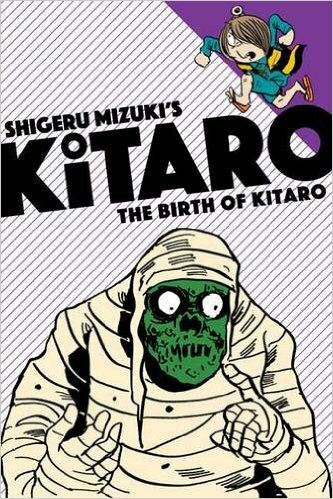 I've read a huge chunk of the manga which blew my mind, It's a classic for good reason. The Attack on Titan anime was great but I cant see myself finding time to get into the manga, hopefully we see series 2 soon. Does anyone have an idea of where I can read/and or watch the 1989 anime Akuma-Kun by Mizuki? Have no absolutely no luck anywhere online! ^^ Me too, I found the first episode on torrents that is fan-subbed. Judging by the first episode, its a really cool show. Went to a local convention yesterday and even with the sparse manga selections in the dealers room, I was able to find these two gems. Short Program has been on my want list forever, but its been out of print for a while and hard to find for a good price. The bilingual edition of Man Machine Interface was easy to buy since it was also sitting in the 50% of bin. Paid just $12 for the two of them. It seemed a longer wait for this installment. Thanks for the heads-up. Its the best Manga i've read in recent times. Its the best Manga i've read in recent times. Concur. Really enjoyed this one....ripped through it immediately in one session, couldn't put it down ! Lovely book published by DC here. 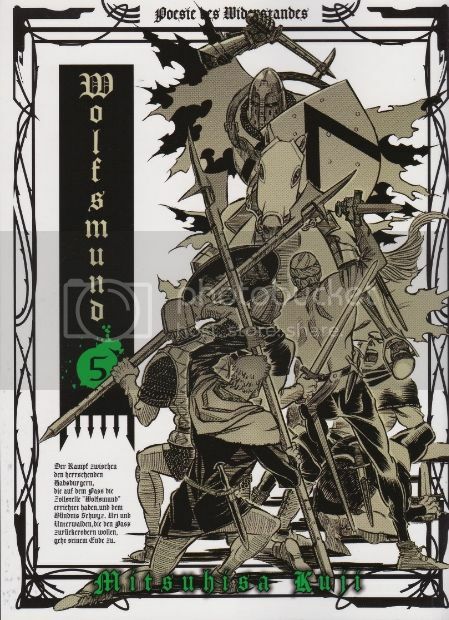 Traditional black and white with spot colors of red here and there, and maybe a full color cover or two. 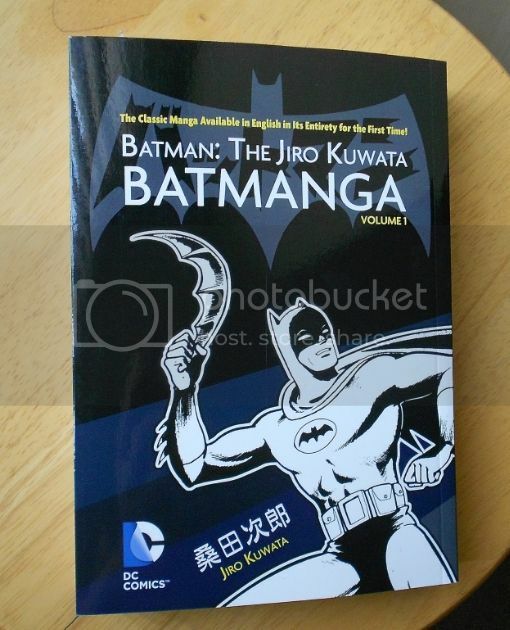 No brainer for Batman and Manga fans alike. ^^ Holy sashimi Batman . . . . that looks like a must buy! Getting back into Manga/Anime myself lately. I went to the Anime Con a couple of weeks back here in Chicago as I figured it would be THE place to score some goodies from a couple of my favorite properties: Bubblegum Crisis and Devilman. I came away empty handed in that regard and only actually bought a DVD of Dragon Half. A couple of the vendors I asked looked at me agog when I asked if they had any BGC toys, and got the response "wow, that's old skool!". guyver and terraformers all day.